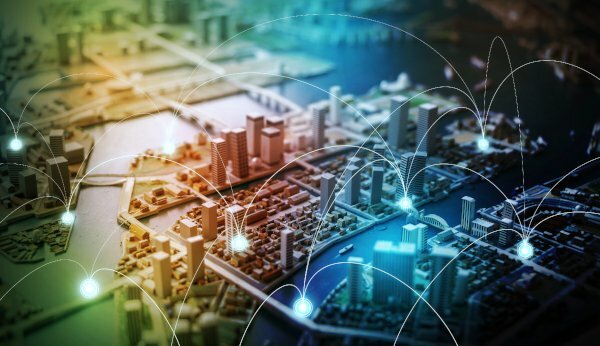 Schneider Electric has launched Schneider Electric Exchange, the world’s first cross-industry open ecosystem dedicated to solving real-world sustainability and efficiency challenges. Schneider Electric Exchange is empowering a diverse community of solvers to create and scale business solutions and seize new market value. As digitisation revolutionises the way we work and interact, energy fundamentally becomes more distributed. With Schneider Electric Exchange, individuals gain entry to a vast network of technical tools and resources to develop, share, and sell digital and IoT innovations. “What differentiates Schneider Electric Exchange is that it brings together people across industries and practice areas that share a passion for sustainability and efficiency, enabling collaboration and interaction across ecosystems. While all content, IoT applications, software, datasets, analytics, and tools are available to everyone, we have focused on specific capabilities that fit the needs and expectations of each community,” said Hervé Coureil, Chief Digital Officer, Schneider Electric. “Digitisation continues to revolutionise the way we work and behave. The world can no longer work in independent silos; the need for better integration and collaboration has unearthed new opportunities and solutions. Schneider Electric Exchange brings together a diverse ecosystem of digital innovators and experts, enabling the co-creation of solutions and enriching learning and speed through collective intelligence. Together this digital ecosystem creates, collaborates, and scales business growth,” said Cyril Perducat, EVP IoT & Digital Offers, Schneider Electric. The Minimum Viable Product (MVP) first released in private beta mode in April 2018, then opened to a broader customer base in November. The platform is poised for strong growth and already boosts a global footprint in Europe (35 percent), APAC (35 percent), and the Americas (20 percent). Schneider Electric Exchange draws on the company’s ecosystem of digital partners to accelerate and scale innovation – and provide companies with the tools needed to operationalise AI for real-world problems. Accenture, a global management consulting and professional services firm, brings the ability to create customised solutions and develop digital business models. Another partner, Claroty, a security specialist for operational technology infrastructure, offers industrial cybersecurity expertise, working with companies to address the larger digital risk surface that comes with integrating IIoT solutions. Schneider is using published datasets and SaaS from the Schneider Electric Exchange partner Senseye, a technology company in predictive maintenance (UK), in one of its Smart Factory manufacturing plants, Le Vaudreuil. Likewise, Schneider is co-innovating a digital service offer for the retail chain market in Italy with the company Predictive Layer, which specialises in energy forecasting. Through its network of communities, Schneider Electric Exchange can broaden the geographic and market reach or our partners.